On January 23, 2016, eight Bollywood fusion and eight Bhangra dance teams will be meeting in Columbus, OH to compete in the first Desi Dance Network competition of 2016! Buckeye Mela provides an opportunity for the best South Asian dance teams to compete for a cash prize. Srujan aims to forge new ties among universities and South Asian communities while raising money charity. As a Bollywood America Automatic Bid Competition, the Bollywood fusion winner of this competition will receive a bid to compete at the national championship competition-- Bollywood America on April 9th in Cleveland. Although there are six other Bollywood America auto-bid competitions, Buckeye Mela separates itself from the others by having a line up comprised of both Bhangra and Bollywood fusion teams. Disguised as two separate competitions in one night, the audience should be expecting a diverse showcase of styles. Buckeye Mela IX is hosted in the beautiful, 2500 seat Mershon Auditorium. 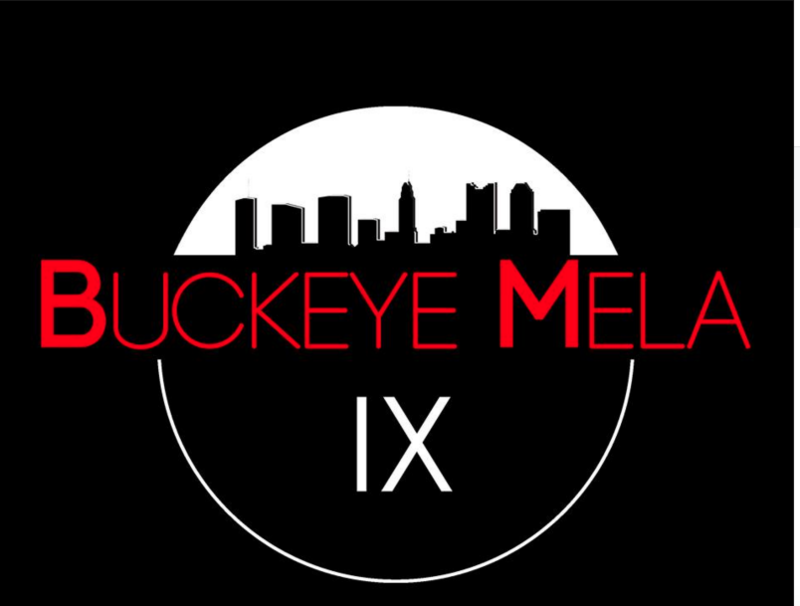 This year's Buckeye Mela is expected to sell out so do not hesitate to get your tickets today! Additionally, Desi Dance Network will be awarding two Fan Favorite awards to the two teams with the highest SMS text votes at the event. Make sure you buy your ticket today to vote for your favorite team! Northwestern Anuhav is NU's premier competitive Hindi Film & Fusion Dance Team. In 2008, the team was founded by choreographers from Stanford Dil Se and Northwestern Raas. Since then, Anubhav has placed in 19 competitions across the nation including a national title, in 2014, when the team won the 5th annual Bollywood America Filmi-Fusion Dance Championship. Since 2014, Anubhav has set their dance to storylines that showcase (South) Asian American history, identity, culture, and shed light on the complexities of the second-generation American (Desi) experience. The team fuses a variety of traditional, folk, and classical dance forms with modern styles such as contemporary, lyrical, hip-hop, and Bollywood which represent the diverse cultural, social, and dance backgrounds of their company members. Fusion is an all encompassing dance style. Of the many dance styles in this world, each one has it's own distinct songs and movements. Fusion aims to incorporates elements from these styles and blend them together seamlessly to create something new. Something different. Case Kismat aims to bring this unique style to the Case Western Reserve University campus. Kismat aims to promote global diversity and show that cultures can meld together through dance. By performing at various campus events, Case Kismat spreads cultural knowledge not only here in Cleveland but also at competitions across the nation. Michigan Izzat, founded in January of 2013, is the University of Michigan's premier all-male fusion dance team. As a nationally ranked collegiate team, we strive to promote dance and culture while staying true to our identity and university. Both on and off the stage, we affirm this mission through community service and performances for our campus community as well as the greater community across the nation. Using high energy choreography, innovative stunts, and our passion for dance, we come together fusing the styles of hip hop, bhangra and bollywood to produce a performance intended to inspire, to allure, and to celebrate Indian and American culture. MICHIGAN MANZIL is the University of Michigan's Premiere CO-ED Bollywood/Filmi Team. We pride ourselves in incorporating the ever so famous bollywood dance styles into our routines. This is our third year as a team and we are looking forward to an amazing year ahead of us! Saint Louis University's Premier Bollywood/Fusion Team! We perform a variety of dance styles [including Bollywood, Hip Hop, Contemporary, Bhangra, Raas, and Indian Classical (Bharatanatyam and Kathak)] at a local and nationally competitive level. USC Zeher is an award-winning Hindi film dance team that strives to bring Indian culture to the American collegiate stage. The purpose of CMU Bhangra is to provide opportunity and instruction for aspiring dancers. We seek to encourage, advance, and promote the art of Bhangra dancing (Punjabi folk dance) through various performances and competitions, on and off campus, and through instructive workshops. University of Connecticut's Premier Bhangra Team! Our team was established in 2005, and we are still going strong. This is a very talented and passionate group at UConn, and we appreciate all of your support! WashU Bhangra originated as a group of friends dancing at the school’s esteemed Diwali show over 15 years ago and has now grown to become one of the most diverse and sought out dance teams on campus. We have come to be a competitive dance team since the emergence of national bhangra competitions, competing at some of the nation’s best such as Bhangra Blitz, Nachte Raho, Aa Dekhen Zara, Chicago Bragging Rights, Bhangra Bash, and Bhangra Fusion. We even got a call to perform at the President’s State Dinner! 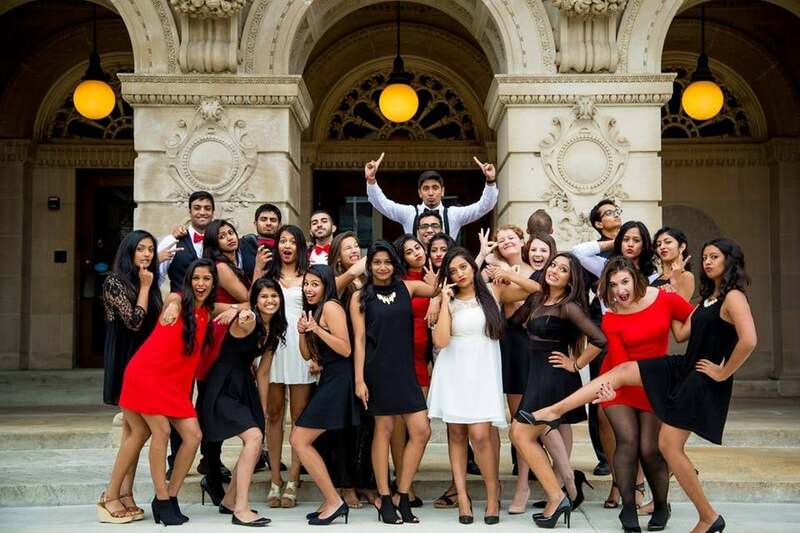 WashU bhangra brings the Midwest flavor to a circuit dominated by east and west coast teams. With talent, pride, and honor, Drexel University Bhangra (DUB) showcases the ethnic folk dance of Punjab, India. The dance is traditionally about happiness and peace and the performance about unity of peoples. To those that experience the phenomenon of the dance on stage or in their seats, it is rich in dignity and culture. The dance team is a non-profit organization run by hardworking, conscientious Drexel University undergraduate students. Since its foundation in 2005, DUB has been successfully offering its members a valuable life experience ranging from the development of active personalities and application of leadership skills to learning the actual dance. Performances are remarkable, and the joy we see in the eyes of the older Punjabi generations is inexplicable: they are proud that we are using our passion to establish our identities and share our culture. DUB enthusiastically participates in charity shows, multi-cultural shows, campus events, and can even be scheduled for special occasions such as weddings, birthdays, and anniversaries. Every year we also compete nationally in four to five competitions to spread our name. By thus making ourselves known within the vicinity and even world-wide, we hope to enthrall our audiences and spark their curiosities. Spartan Bhangra is a cultural dance troupe that celebrates the vibrant traditional folk dance of Punjab, India. The art practiced by the group is filled with creative, high energy dance moves performed to Punjabi music infused with tones of hip-hop. As a group we love to spread culture and we love to dance! Spartan Bhangra is a highly active group performing around the Greater Cleveland area as well as on the national Bhangra circuit and has performed for various types of events including weddings, receptions, lohris, birthdays, cultural shows and competitions. The Michigan Bhangra Team was started in the Fall of 2000 with a very distinct vision: we strive to promote awareness of Punjabi culture and the importance of diversity and multiculturalism. We accomplish these goals by performing at numerous charity and cultural events for both our campus community and the community at large. Our team is known for our energy both on and off stage; we are driven to inspire others with our passion, dedication, and unique style. Our performance is based upon a foundation of camaraderie, creativity, and spirit, all elements we hope will work to transcend social boundaries to build a sense of community and awareness. The Ministry of Bhangra is an independent co-ed Bhangra team based out of Chicago, IL. First Class Bhangra is an all male Bhangra team from the Greater Pittsburgh Area. First Class Bhangra has competed all around North America.